On top of your own comfort and road vision, your car needs looking after too. 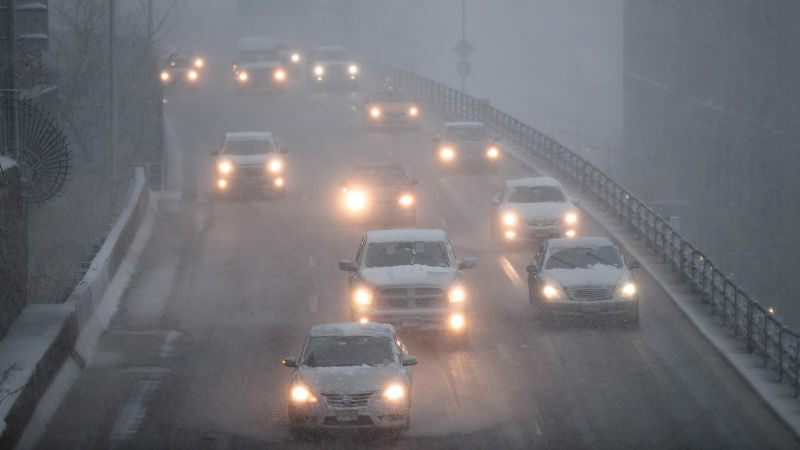 Being safe in winter relates to lots of aspects of being a responsible motorist. The government reported over 22,000 serious injuries at the wheel in there 2016 review and being prepared will help to ensure that you, and your car don’t end up as one of these statistics. We’ve tried to pick out points relating to your car’s health as well as your safety. Here are our 10 best tips! Tyres need to be good all year but when it’s either icy or wet they are even more important. 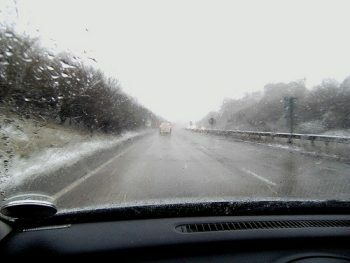 In the UK we may not get lots of snow but we certainly do get very wet and slippery roads. Be sure to check the tread on your tyres and look for bulges and cuts in the tyre wall. If your doing a lot of driving once it’s turned very cold, or your going somewhere and expect snow then it may be worth buying specific winter tyres. Its also important to make sure the pressures on the car are correct, and especially that they are not unevenly inflated. Sounds simple but its really important to keep on top of. This time of year you will probably find your washing your car’s windscreen twice as much as usual. You know what it can be like when your bombing along at sunset with all the salt and water rushing toward you on a cold winter day, the vision can be terrible. Now image you can’t clear the screen, or the washer bottle has frozen. Im sure thats all I need say! Pretty much the oldest tip, but one that not many of us follow any longer. Modern cars do tend to burn less oil but nevertheless it’s always worth checking. Old or low oil will make the engine inefficient and in extreme cases could cause a breakdown and engine failure. Its a quick job and on some modern cars can be done from inside the cabin so is even easier. Oil is your car’s lifeblood so be sure to keep it clean and topped up. No matter what the time of year it’s important to keep the radiator and engine cooled and topped up with fluid. If you don’t have adequate antifreeze and your coolant freezes the results can be catastrophic. Try to keep some pre mixed coolant in your boot just to be safe. One of those things that’s always tough in winter is the dirt and mud that gets onto your carpets and trim. One bad winter can really ruin an interior especially if you live or work off the beaten track. Just try to be sensible and keep the car clean, the carpets covered and the door shuts wiped down. Winter dirt is always that much more damaging than the dust you get in summer. Here at the shop we try to wash our own courtesy cars as often as possible. Having a handful of major cleans every year will not be as productive as a quick clean off every week or so. The ingrained dirt will start to cut into the paint and moss and dirt will collect around the rubber areas and permanently damage them. Applying a paint protection polish will also help with the cleaning and life of the bodywork. There are a few reasons to keep an eye on your car’s lights and bulbs. Firstly you will need to book and then re test at MOT if one is out, almost all bulbs cause the car to fail. On top of that you won’t be seen on dark nights by other motorists and risk being driven into. Its also worth noting that 20% of accidents involve pedestrians and you want them to see you. Again this tip is one of those obvious ones that almost all of us forget to do! Make sure you have things like a yellow jacket incase you breakdown as well as a blanket and the more standard items. Breaking down at night this time of year isn’t fun so make sure you have everything you think might help you and keep you safe. This takes effect in a few ways. Park on a blind corner and you may come back to a missing mirror, or worse! Also make sure the car is out of the harsh weather. This goes for the upside and the underside of the car. Parking on damp and frozen grass will make it harder for your car to start in the morning as well as contributing to the dreaded rust. Also being in the open gives the frost and damp the best chance of getting to your windscreen, in some cases this can cause it to crack but even if it’s just cleaning the frost of the windscreen its a real pain. One thing I’ve learnt after years in the motor trade is that new or old, cars need to be used. Leaving them sat around especially in bad weather makes rubbers perish and lots of moving parts seize up. Batteries hate the cold and brakes too start to seize. If you do decide not to use your car try and keep it dry stored. Even if you don’t then drive it as often as you can. Most cars are their owners second largest investment. Be sure to take care of yours and it will look after you too!